Suppose we have equally motivated and healthy identical male twins, aged 25. Both have identical genetic inheritance for bodybuilding and so have no variation in physical make-up. Suppose that one won a lot of money in a lottery and is single, with no employment concerns. He has access to a gym with a first-class equipment. He can eat perfectly, and have restful days outside the gym and undisturbed nights of sleep. The other twin works shifts at a job of manual labor, and lives on a very tight budget. He trains in a garage with an Olympic barbell, plenty of plates, a bench, and a pair of safety racks and squat stands. He has two young children and barely any spare time to train, and no time for leisure and rest. If he’s not at work, he’s at home fulfilling family obligations, working on the house or car, or training in the garage. He never gets an undisturbed night of rest. His daily routine is regularly disturbed by his shift work. His children never leave him alone when he’s at home. Food over the needs of an average person is difficult to fund, and supplements are out of the question. Life just seems to be struggle on top of more struggle. What the first twin can gain from will be very different to what the second twin can, despite sharing identical genetically endowed potentials, limitations and advantages. 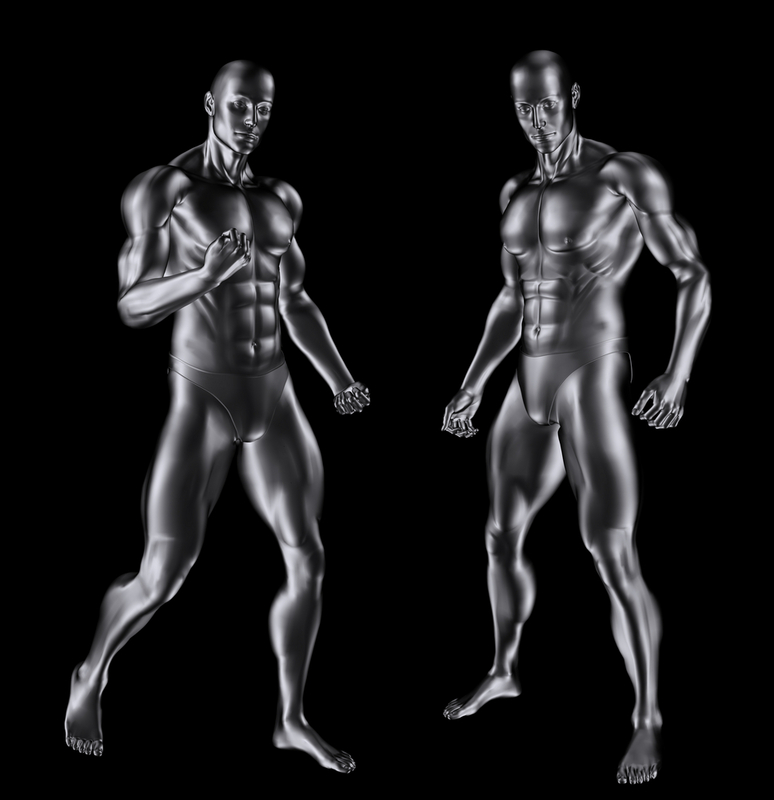 The second twin can’t emulate his genetically identical brother, let alone emulate a professional bodybuilder. The second twin will be lucky if he can grow on half the exercises, sets and training frequency of his brother. What you can productively use in the gym is greatly influenced by the quality of rest, nutrition and sleep that are available to you out of the gym. You can’t battle away in the gym without any regard for out-of-the-gym but non-genetically determined factors. Of course, even with the optimum equipment, routine, rest, sleep and dietary factors, there will be no progress in the gym if the individual hasn’t the will to pay his dues in the gym. But once this will to work is present, progress is all about how you let this enthusiasm manifest itself in the gym, and how well you meet your recuperation needs when outside the gym. To make a bodybuilding routine specific for you — tailor-made — the general sound advice has to be modified to fit your individual circumstances. Only you can do this. Only you know how you react to a given routine. Only you know your lifestyle and its effect upon your bodybuilding progress. This isn’t permission to experiment with anything and everything, in any manner you choose. That would be an undisciplined, lazy and frivolous approach — useless. What’s needed is experimentation and variation within a sound general framework, and the will to try some radical approaches. The onus is upon you to refine and perfect what you select so it suits you fully, and maximizes your progress. When experimenting, what matters is what works. If something works for you, stick with it. It’s when something doesn’t work, despite being used diligently and conscientiously, that it needs changing. Perhaps some of what you do is good only in short spells. It’s the timing of different types of training that can determine whether or not they are productive. 1. Set and rep schemes and interpretations. 2. Choice of exercises and equipment. You’ll need to adjust the training variables according to changes in your everyday life. You can’t continue your usual bodybuilding program, without modification, once you have children and you need to work longer hours and perhaps establish your own business. For the typical person, individual adjustment of training should nearly always be on the side of less work and/or less frequent workouts. Adjustments on the side of more work per workout, and more frequent workouts, will usually be unproductive. Such ineffective adjustments are the popular way to go. Such misdirected enthusiasm is at the root of much bodybuilding failure in gyms throughout the world. What a shame so few people learn this lesson. Of those who do learn this lesson, they often take so long to learn it that they lose many of their most productive years.